‘The Diamond Boutique’. By “Creneau International”. A diamond exhibition has been designed in Maasmechelen Village by Creneau International, and “It is a BEAUT”. When they were assigned to create a design for a ‘Love the Diamond boutique’, this INCREDIBLE interior instructor gave life to one of the most artistic, colorful, and visually pleasing exhibitions we here at djstormsblog.com have seen to date. They started their design with the origin of the diamond: (crystallized) carbon. Diamonds consist entirely of crystallized carbon. Carbon can only crystallize at extremely high temperatures and pressure; circumstances found 150 kilometers below ground. Crystallized carbon rises to the surface through volcano eruptions, sealed in volcanic rock. The black rough stone that emerges from the heart of the earth has, after lots of grinding and polishing, a shiny core with many facets and colors. This is exactly what they see in the interior design. The walls are painted black and look like they’ve plastered them with carbon. At the center of the exposition an iridescent volume is shining in an array of colors and facets. This can not be exemplified by photos. This is TRULY a sight to behold. 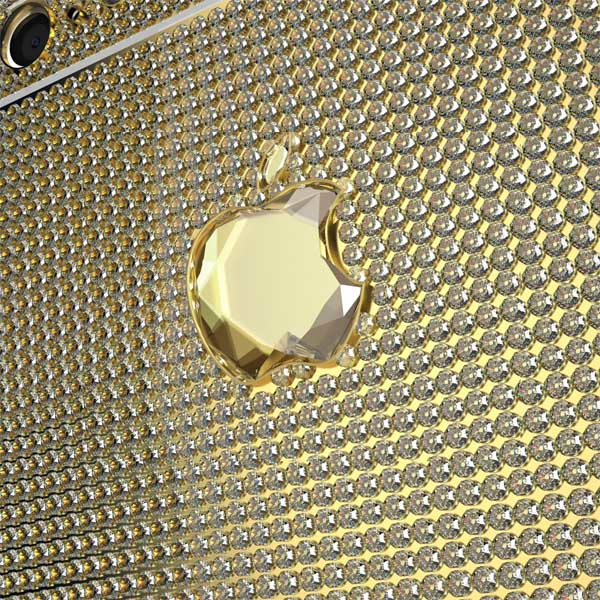 The Worlds Most Expensive iPhone 6. A plum-sized diamond known as the “Pink Star” was auctioned in Geneva Wednesday for $83 million, a world record for a gemstone. The diamond had been estimated at $60 million. 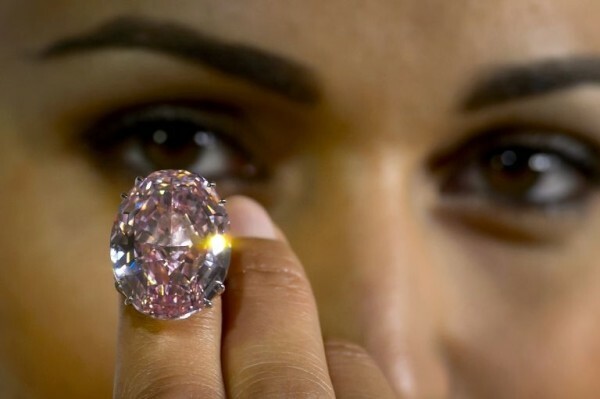 Three years ago, Sotheby’s set an auction record of $46.2 million for a diamond when it sold the “Graff Pink” gemstone. The Sotheby’s auction came a day after rival house Christie’s sold an almond-shaped diamond dubbed “The Orange” for $35.5 million, also a record in its category. The 59.60-carat “Pink Star” is the largest in its class ever graded by the Gemological Institute of America (GIA), with the second biggest less than half its size. The sparkling oval-cut rock measures 2.69 by 2.06 centimetres (1.06 by 0.81 inches), and weighs 11.92 grammes (0.026 pounds). In addition to its top color and clarity ratings, it falls into a rare subgroup with the purest diamond crystals and extraordinary optical transparency, comprising less than two percent of all gem diamonds. The “Pink Star” was 132.5 carats in the rough when it was mined by De Beers in Africa in 1999, according to Sotheby’s.. It was cut and polished over two years by Steinmetz Diamonds, and unveiled to the public in 2003 under the title of the “Steinmetz Pink”. Vertu has expanded its Ti line with a luxury smartphone whose design was inspired by the Ferrari F12 berlinetta. A limited edition of 2,013 smartphones will be produced and sold. 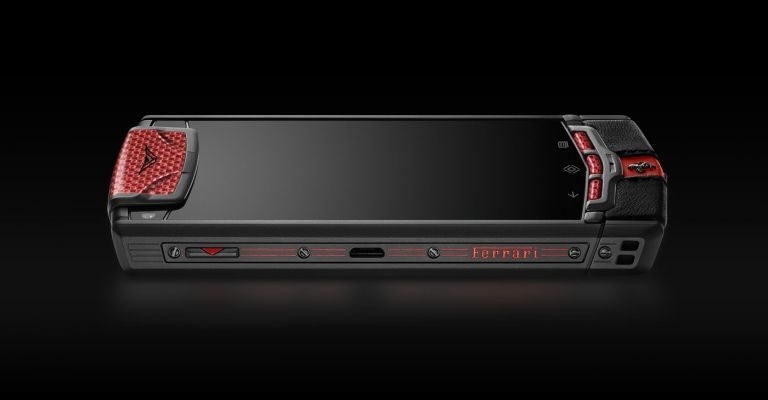 The new Vertu Ti Ferrari is the result of a close collaboration between the luxury phone maker and the luxury sports car brand. Ferrari has supplied some of the red and black leather used in the seats of its sports cars for the leather accents along the smartphone’s casing. Vertu, in turn, has treated and conditioned the leather to ensure it will withstand the constant handling a smartphone is subject to. 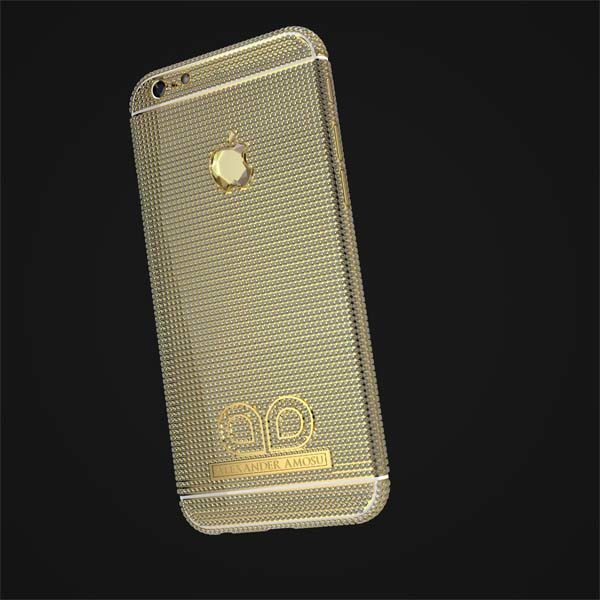 The smartphone’s casing is made of diamond-like carbon (DLC), a lightweight material ten times stronger than stainless steel, which Ferrari uses to protect its motors from extreme heat and friction. The back of the device is modeled after the aerodynamic lines of the F12 berlinetta, while the position of the supercar’s headlights is echoed in the position of the phone’s camera. The Vertu Ti Ferrari’s feature set is not particularly impressive. Equipped with a 3.7-inch screen, an 8MP photo camera at the back and a 1.3MP front camera for video chats, the smartphone runs under Android 4.0 (Ice Cream Sandwich) and is equipped with Bluetooth, wifi and 3G+ connectivity. The start screen of the Vertu Ti Ferrari features the signature colors of the famous Italian car maker, and the Vertu for Ferrari App provides access to the latest Ferrari news from the brand’s social network pages and the automotive trade press. The on-screen clock is modeled after the F12 berlinetta’s tachometer, and the four available ringtones purr with the sound of the grand tourer’s V12 engine. It’s being pitched as the “champagne of water,” developed by water sommeliers to be sipped, sniffed and rolled around the mouth like a fine wine during a fancy meal. 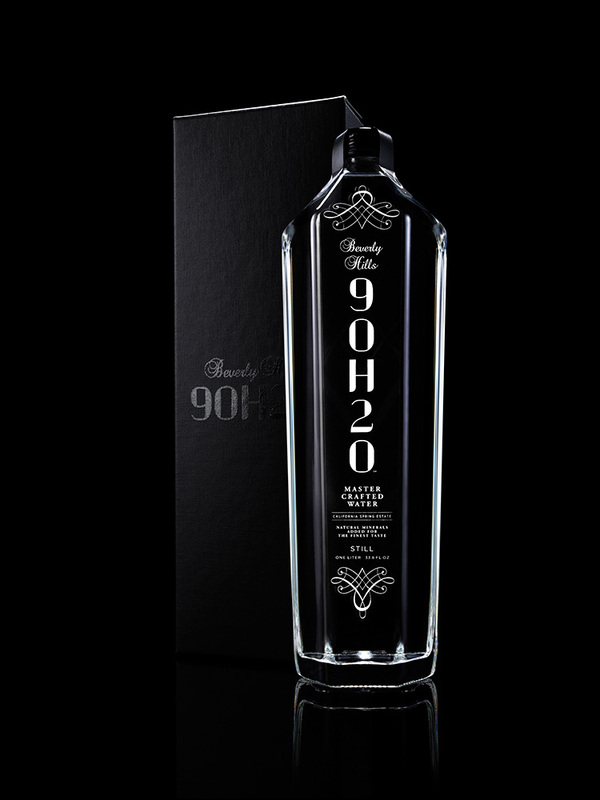 The PR pitch for Beverly Hills 90H20 borrows heavily on the wine and spirits vernacular to sell the “best tasting water in the world.” Sourced from the mountain springs of northern California, the premium water claims to be crafted with natural minerals using a “proprietary patent-pending formula” that results in a 7.5 pH alkalinity for a “silky smooth,” crisp, fresh taste profile that’s supposed to appeal to the broad consumer spectrum. 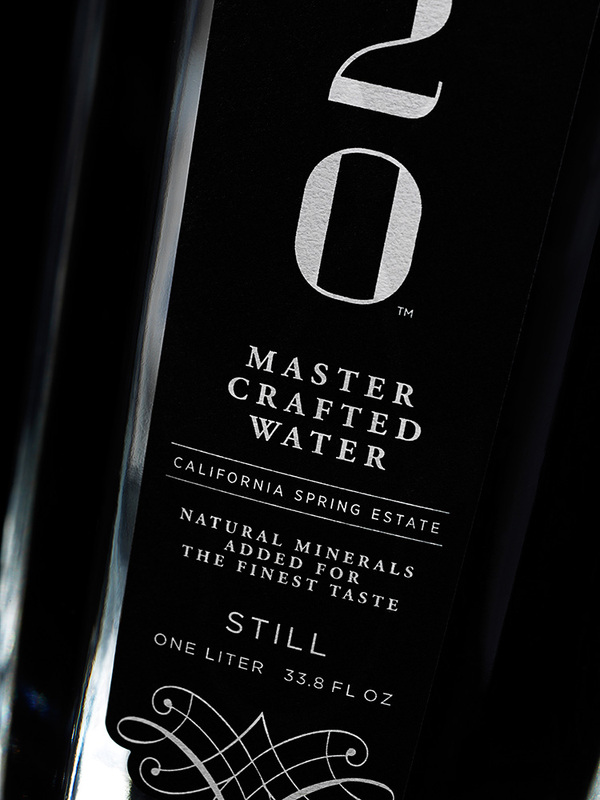 It’s these unique characteristics which are likewise supposed to make Beverly Hills 90H20 the ideal water pairing for fine foods and wines, reads the sales pitch. 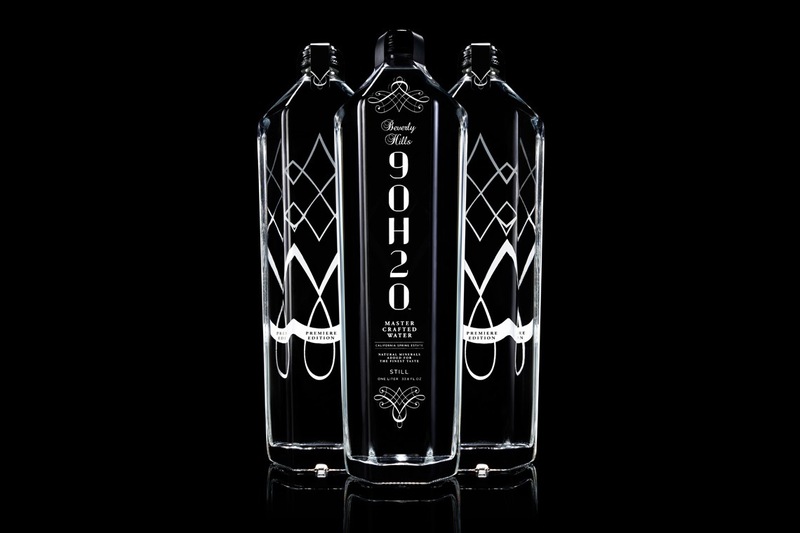 The premium water blend is bottled in a diamond-like, hand finished decanter triple-sealed for freshness. 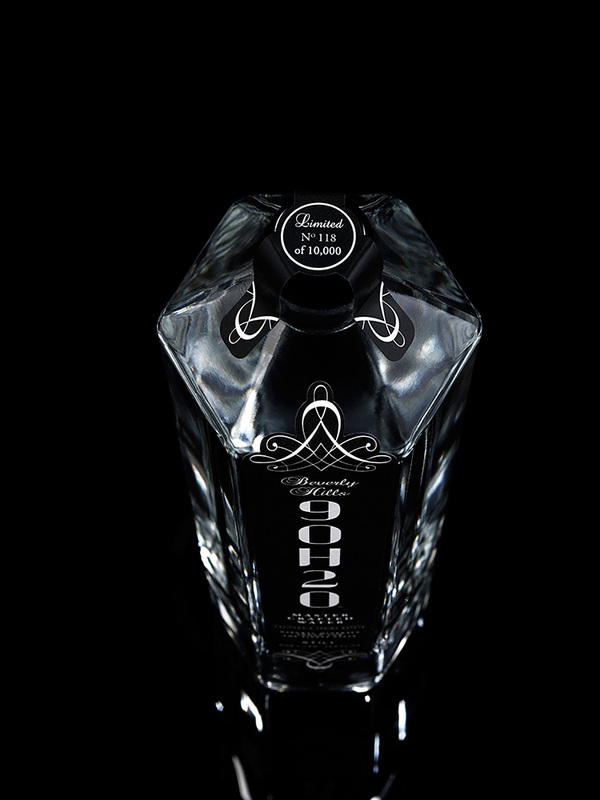 Each of the limited-edition 10,000 bottles also features a unique custom art design and is available at fine restaurants, luxury hotels, gourmet markets and fashion boutiques. Take a look at the result of collaboration of German vehicle division SMART and fashion designer Jeremy Scott – a limited edition electrified “ForTwo”. This electric vehicle is equipped with wings that illuminate like igniting rockets to form avant-garde rear taillights, the feature becomes the central design element of the car body, accentuating its futuristic approach to transportation. Based on the current production version of the “Smart ForTwo Electric Drive”, it has the capabilities of accelerating from 0-60 km/h (37 mph) in 4.8 seconds, achieving a top speed of 125km/h (78 mph). Its 17.6 kWh lithium-ion battery enables the urban two-seater to travel approximately 145 kilometres in city traffic without producing any local emissions. Painted in bright white, chrome accents in the front headlights and grille, mirror caps, and tridion cell contrast to appear like a ‘glistening jewel’. The interior is outfitted in fine white nappa leather for the instrument panel, seats and door trim while the centre panels in the doors boast extravagant diamond stitching as a further sign of elegance and freedom. 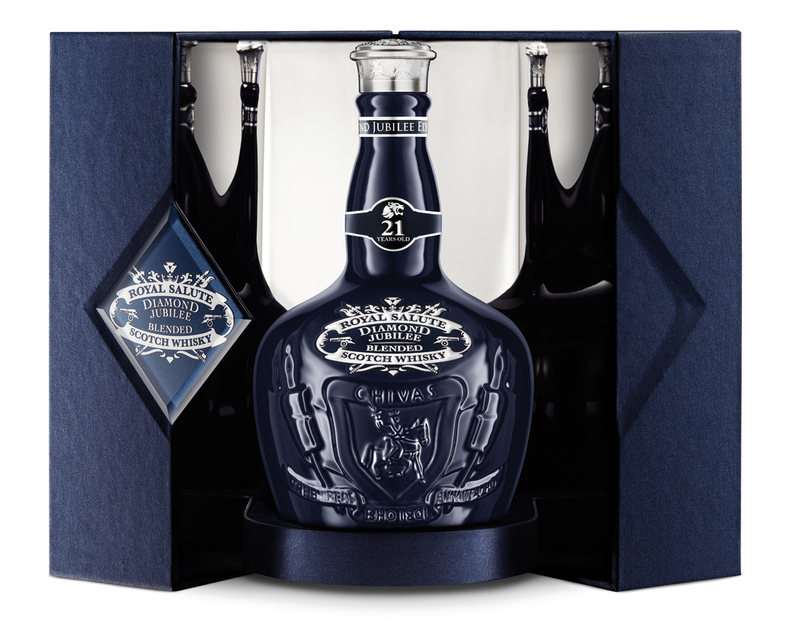 Created in 1953 to mark the coronation of Queen Elizabeth II, Royal Salute is this year continuing with tradition by celebrating the Queen’s 60 year reign with the launch of the Royal Salute Diamond Jubilee Limited Edition. The bottle is made from hand-blown and hand-cut crystal and is finished with a show-stopping solid cut crystal stopper. It is presented in a hand-crafted display box. The striking royal-blue bottle has an RRP of £165 and is available from Harrods, Harvey Nichols, Selfridges and Fortnum & Mason. 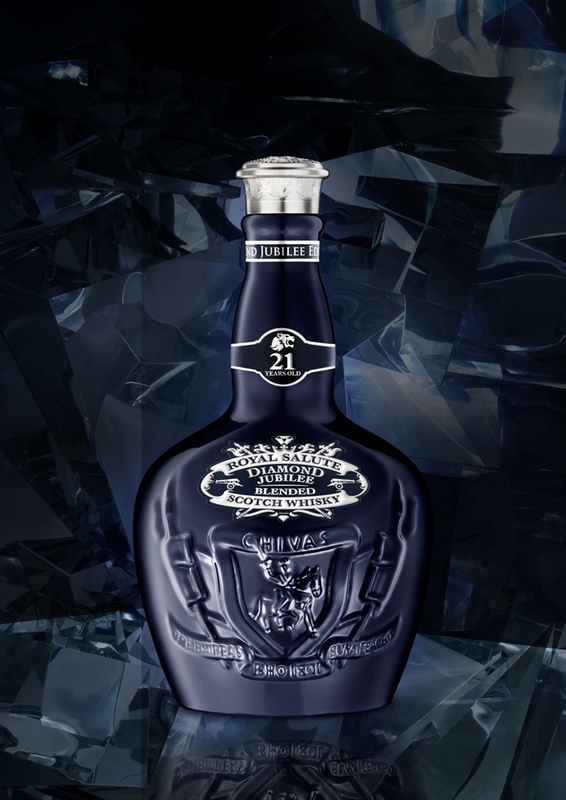 Royal Salute Diamond Jubilee is a limited edition that will only be available in 2012 during the Jubilee celebrations.